The Tongue & Groove system is a closed deck that eliminates the gap at the footboard and risers by utilizing a tongue and groove design to lock the aluminum tread planks together. The Tongue & Groove system is a closed deck that eliminates the gap at the footboard and risers by utilizing a tongue and groove design to lock the aluminum tread planks together. 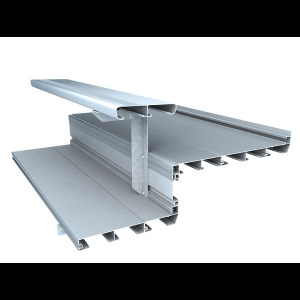 This system provides increased rigidity, reduces deflection, and allows the aluminum boards to act as one, solid deck.